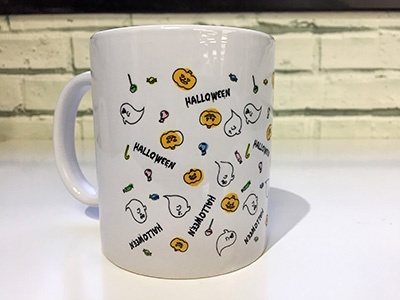 A mug print is possible by sublimation transfer. Sublimation transfer printing has an image for the polyester fabric but the polyester coating materials are also available. What is the sublimation transfer printing? First, the image is printed on transfer paper. Second, the printed surface of the transfer paper is placed on the polyester fabric and the two are pressed together at high temperature. The molecular chains of the fibers break on heating, and the sublimated ink molecules are caught between the fiber molecules and fixed on the fabric. 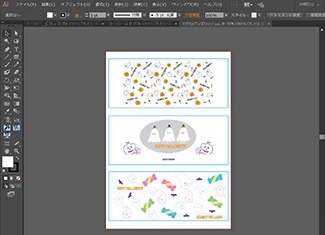 Transfer paper *Transfer paper with adhesive is recommended. It has less risk of color retransferring to be a fine finish. 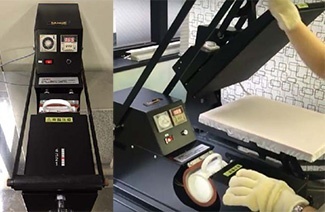 Sublimation Transter Inkjet Printer ex) JV300 Series, CJV150 Series, TS30-1300, etc. Create your printing data using Illustrator and save it in the EPS format. Open RasterLink6 to read and print the data. 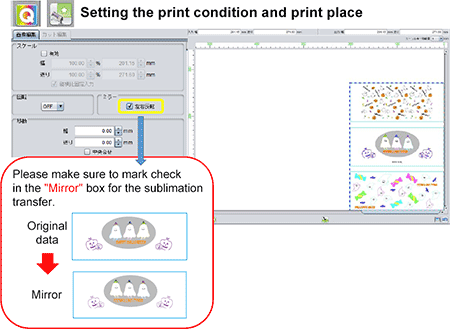 Please make sure to mark check in the "Mirror" box for the sublimation transfer. Cutting by one piece of each. *Please cut inside of the frame for not transferring it together. 4-1. 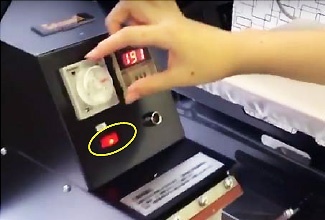 Turn on the heat press to set 190 degrees of temperature. 4-2. 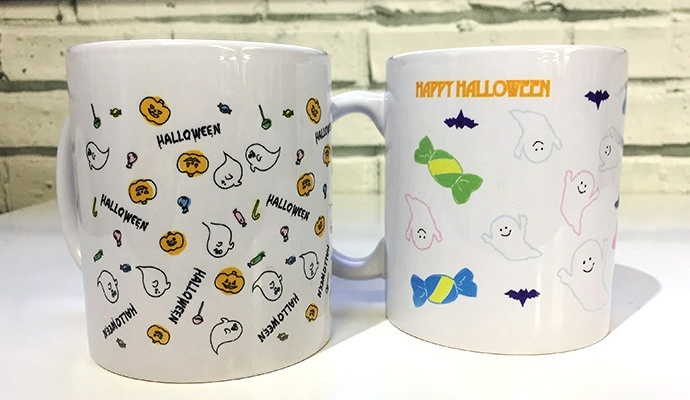 Prepare mug and cut transfer paper and fix the position of the paper to contact the printed surface to the mug. 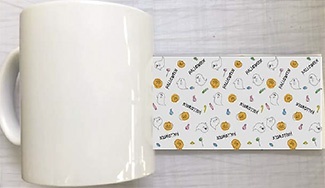 Please use a mug for sublimation transfer. A mug without polyester coating is not available. 4-3. After fixing the position, attach the heat resistance tape not to move the paper. Be sure to use heat resistance tape. 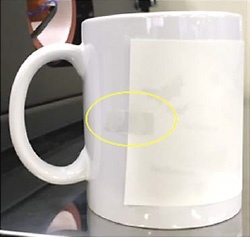 It is possible to use the silicone rubber to roll on the mug instead of heat resistance tape for preventing the air-invasion. 4-4. 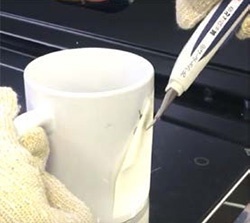 Place the mug in the heat press and press down the handle for 3 minutes heating and release it. *Use heat resistance gloves for preventing the hands from getting burned. 4-5. After releasing the mug from the heat press, remove the tape and the transfer paper from the mug and let it cool. When it is difficult to remove the tape, please use the edge of cutter blade. *Due to a work in the high temperature, be sure to wear the heat resistance gloves while removing the tape. Do not touch directly till the mug gets cold completely.